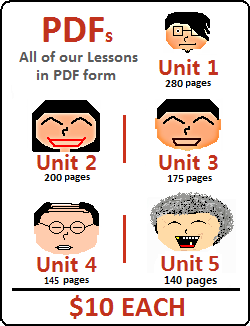 Lesson 67: In this lesson, you will learn about the meanings of ~듯 and ~처럼. Both of these have similar meanings that describe that something is similar to another thing, but are distinctly different. We will go over the meanings of each one, and describe the differences in this lesson. 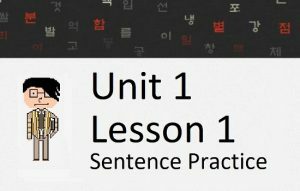 Lesson 68: In this lesson, you will learn about the word 유일하다 which can be used to create the meaning of “only” in Korean. Though you learned that the particle ~만 can be used to mean “only” in an earlier lesson, the word “유일하다” is not entirely the same. 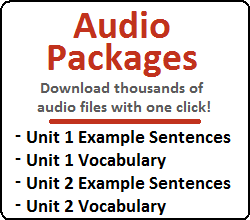 Lesson 70: In this lesson, you will learn about adding ~아 or ~어 between two clauses as a connector. Explaining this concept is probably the most difficult of all grammatical forms because the meaning is so subtle, and it is very difficult to find any information about it (on the internet, or by asking Korean people). Nonetheless, this concept is very common (especially in books), and needs to be explained. Lesson 72: In this lesson, you will learn about two particles that typically have the same meaning. By using the particles ~만큼 and ~정도 you can create the meaning of “as much as…”. However, there is much more to these particles than that simple meaning. Lesson 73: In this lesson, you will learn how to use 대신, which can be used in a few different ways to have the meaning of “instead.” In addition to this, you will learn a few other concepts and words that have the same or similar meaning to 대신. As always, I will break down the weird intricacies related to this in order for you to understand everything as clearly as possible. 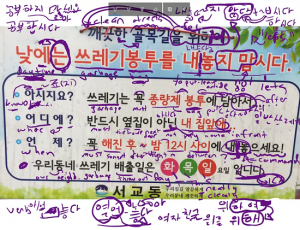 Lesson 74: In this lesson, you will learn how to use the word “상관없다” in sentences, both as a word that can be placed at the end of a sentence (like a verb/adjective) and as an adverb than can be placed in the middle of a sentence. In order to use this word, you will draw from previous grammatical principles that you have learned in previous lessons (~는 지, 아/어도), and learn a new one as well (~든). Lessons 67 – 75 Mini-Test: Test yourself on what you learned from Lessons 67 to 75! A Mini-Test like this will be uploaded after every eight lessons. Don’t worry if the test doesn’t go so well – this website is here to help you!